All I Wish Is App / Articles / All I Wish Is Announcement! As some of you may have noticed, it’s been a busy summer for us over here at All I Wish Is headquarters. We’ve been spending a lot of time trying to stay connected with our followers and provide them with valuable content. The majority of this revolved around a push towards providing many useful tips, tricks, and ideas pertaining to gift giving. We have a passion for giving and we know you do as well. Which is why All I Wish Is was created in the first place. Not because it’s hard to think of gifts to receive, but because it’s hard to know what we want to give others. Now, of course, we all have our selfish tendencies where we focus heavily on what we want, and we get excited when those wishes come true. However, we get a far greater level satisfaction out of being the gift giver. All that being said, we have a major announcement. Because we were spending so much of our time focused on providing useful content, we negated the fact that the website layout was not serving our users properly. As much as we may have been inspiring you to use our service — when you finally arrived, you were somewhat confused. So we stepped back and took a look at All I Wish Is from an objective viewpoint. 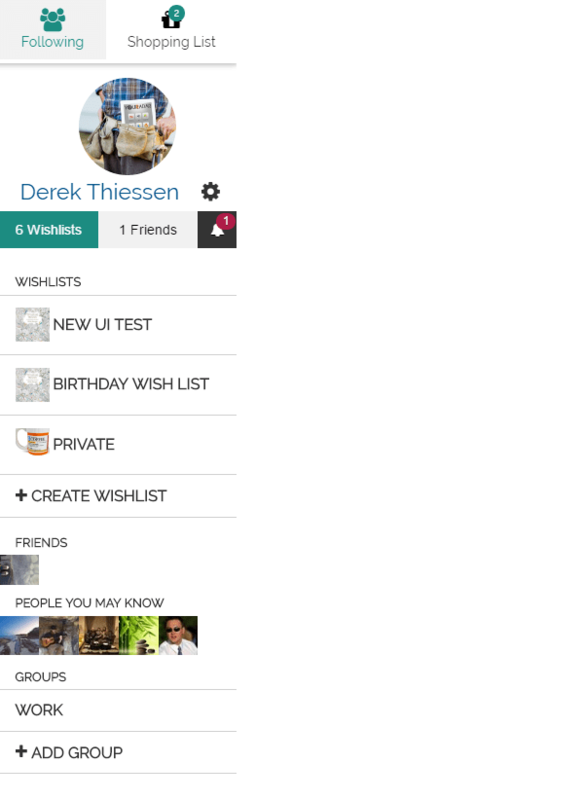 We also spent a lot of time talking to users and getting feedback on the current layout/design. We found what you liked, what was confusing, what could be added, what was unnecessaryÂ and what just plain didn’t make sense. We had to be hard on ourselves. But it was the only way that we would be able to serve you and provide our users with something that would keep them coming back to day after day (or anytime you need gift inspiration). As of this morning, we are live with the new updated version.